Language courses - Search for language courses in the country where they are spoken. Private classes/lessons in Estepona (Malaga/ Spain) with an emphasis on conversational Spanish. Webster English Dictionary - Merriam-Webster provides a free online dictionary, thesaurus, and many other English language resources. 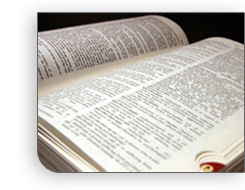 English dictionary - Free online English dictionary, thesaurus and reference guide, plus other resources. German English Czech Translations - Accurate and timely translations by freelance translator based in Vienna, Austria. English to Russian language translation - Russian and Ukrainian translation services. Documents translation: POAs, diplomas, transcripts, corporate documents, personal letters. Technical documents translation. Freelance Spain for Journalists - Online resource for editors and journalists. Information resource about Spain. About Madrid Travel Guide - Get to know Madrid and all that it has to offer! Hispanic Online News - The leading source of news information and services geared at Hispanic Americans. Currency conversion - Free Internet currency conversion tools and services. Time zone converter - Tell the time anywhere in the world using their frequently updated time zone database.